Just Like The Postman, It'll Take More Than A Little Rain To Keep A True Lowrider Away. 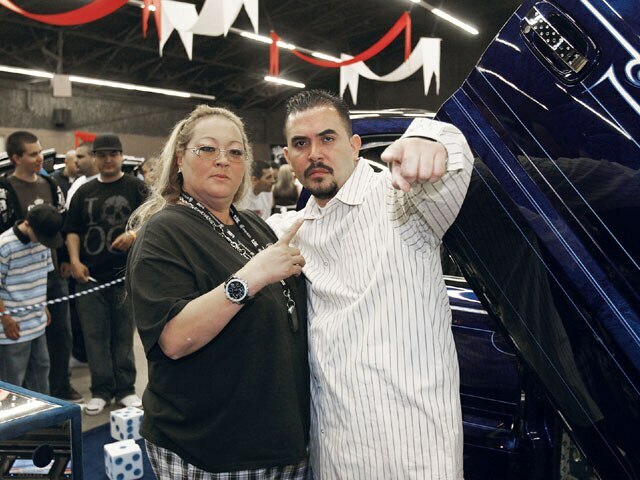 We remember the time of the almighty L.A. Sports Arena Lowrider Magazine car shows. 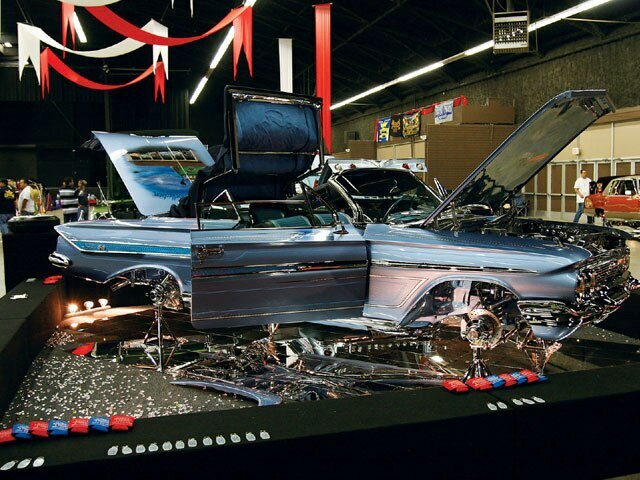 These legendary events held in the “mecca” of lowriding still have people talking. Sixty-three miles away at the National Orange Show Fairgrounds in San Bernardino, California, is the modern day replacement of those shows. 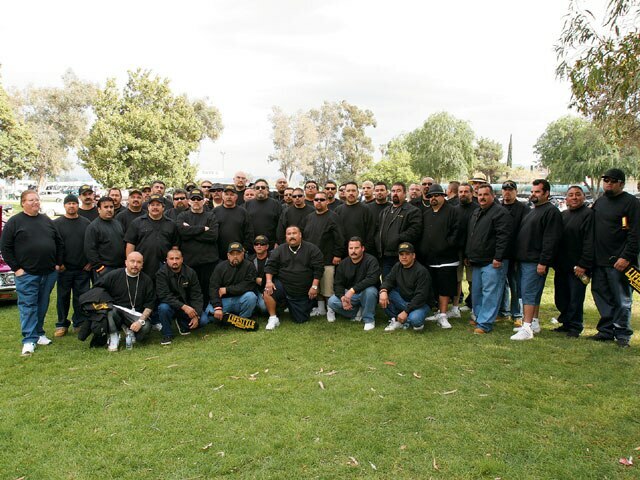 The 2007 30th Anniversary Tour event in San Berdoo proved that Southern Cali’s still the home of lowriding, with a massive 600-plus cars in attendance and some 13,000 spectators. Whoever wrote the song It Never Rains In California never lived here. 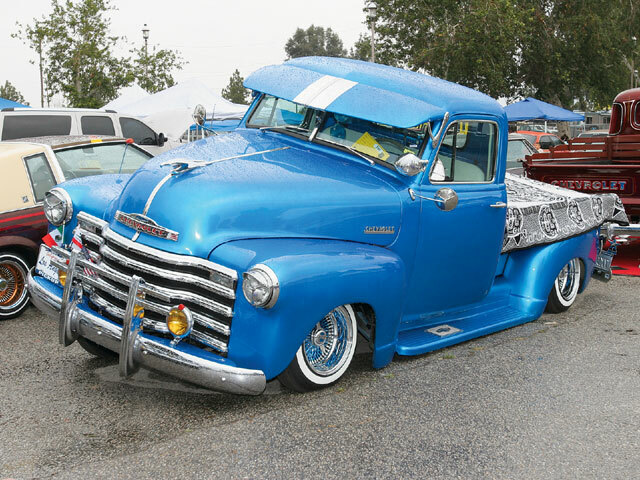 But even with a light off-and-on drizzle for most of the day, thousands showed up to be a part of Southern California’s largest and best lowrider car show. Sponsorship by Quaker State, CCE Hydraulics, Hispanic Lending Home Loans, Thump Records and Harley-Davidson made it possible. 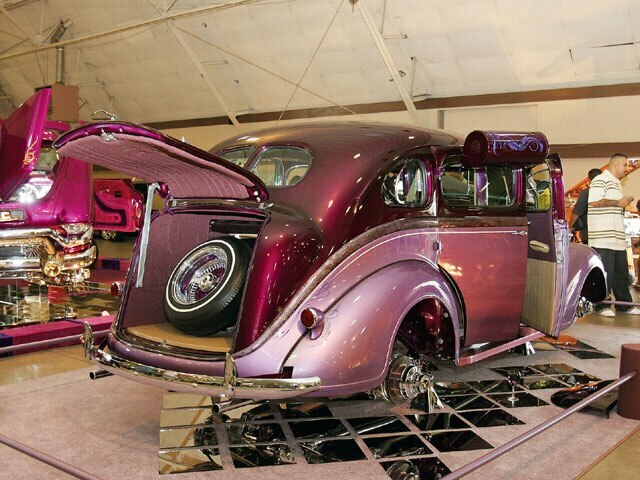 Cars came in from as far away as Texas to show with some of the hottest vehicles in the country. 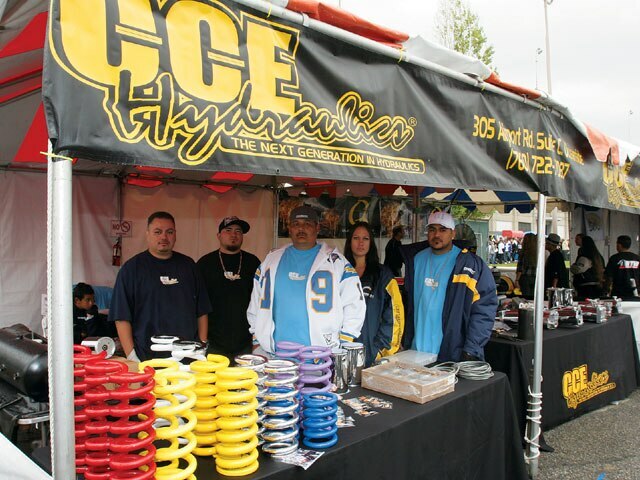 Faustino Flores of Uce Car Club was one of those who made the trek from Texas. 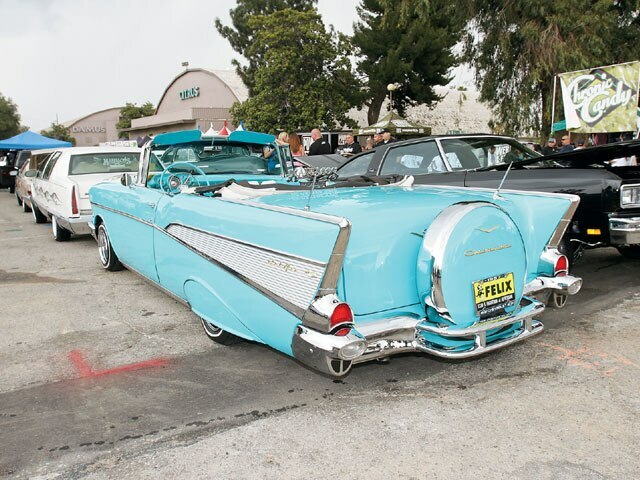 His “Three-Karat Diamond” ’58 Chevy Impala took First Place in Traditional Lowrider, making the trip well worth it and giving the spectators plenty to look at. From its highly engraved and chromed aircraft setup to the immaculate engine compartment, this car was no cubic zirconium. Chris Roark’s black ’58, “Darkside Dynasty,” came in Second. Making the trip down from Northern California, Chris lost out by a mere five points; something we’re sure that he’ll try to rectify in the coming months. Chino Vega brought out three-time champ and now retired “Orgullo Mexicano” for an appearance. It was exhibition only for the car; there only to give a chance for the Cali crowd to get another good look at it. Quite a few new cars broke out at the show, like “The Formula”-“Bear” and Kisa’s ’59 Impala with full-suede interior and trunk, four-pump setup and chrome undercarriage. The crew at Low Lowz & More seem to be working overtime breaking out a number of cars. Last month’s center car, “Black Sunday,” was in attendance and came in Second in Best Car of Show and their ’63 Impala came in Third in the same category. Bikes, trikes and motorcycles were everywhere, both inside and out. The outdoor portion of the show was a great place to be when it wasn’t raining and the quality of the cars was high. Up and down vendor’s row there were plenty of things to buy and see. The Quaker State booth was giving out goodies and we had a model search booth set up to take pictures of lovely ladies who have hopes of making it to these very pages. Harley-Davidson was there with a couple of bikes, including the finished Lowrider Edition Harley on display for all to see. Their stunt rider did a stunt riding show, pulling wheelies and doing all sorts of tricks that you might not have thought could be done. 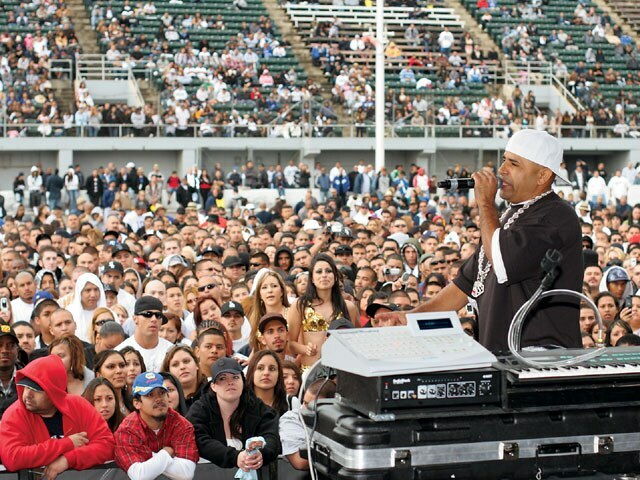 On the main stage was Mr. Capone, MC Magic and Too $hort, a definite triple threat. Even with a slight drizzle during the opening acts, by the time that Mr. Capone hit the stage his fans were firmly in place, screaming for their favorites. 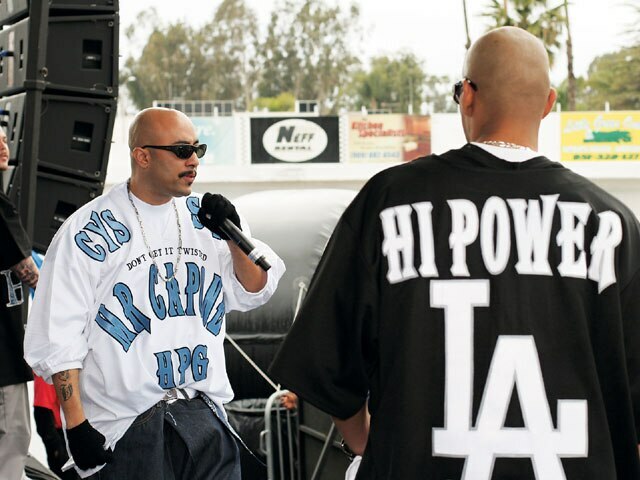 Straight from “AZ,” MC Magic worked out the “talkbox” and Too $hort made it just in time to have ’em blowing the whistle. The days of the L.A. Sports Arena are gone, but so are bell-bottoms and Cabbage Patch dolls. 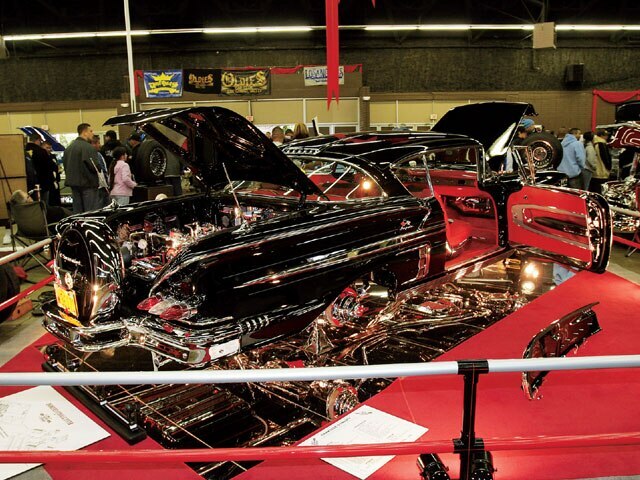 But like the L.A. Sports Arena, the National Orange Show Fairgrounds is the best thing going in Southern California lowrider car shows. 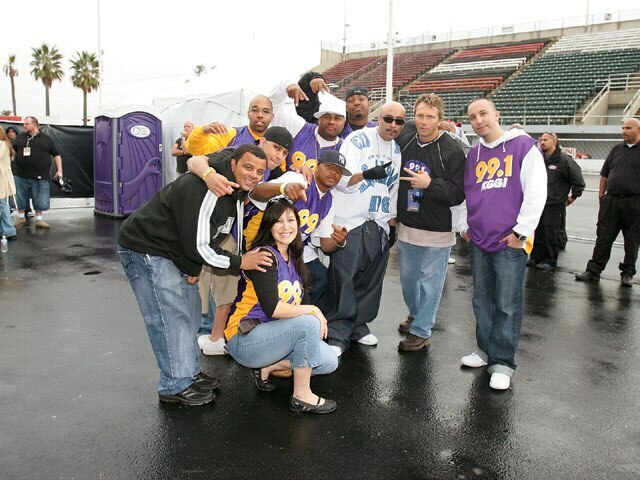 Mr. Capone and the KGGI radio DJs. This clean ’61 ragtop took some spectators by surprise. This detailed bomb features a chrome undercarriage and plenty of details. Bright blue and looking pretty outdoors. 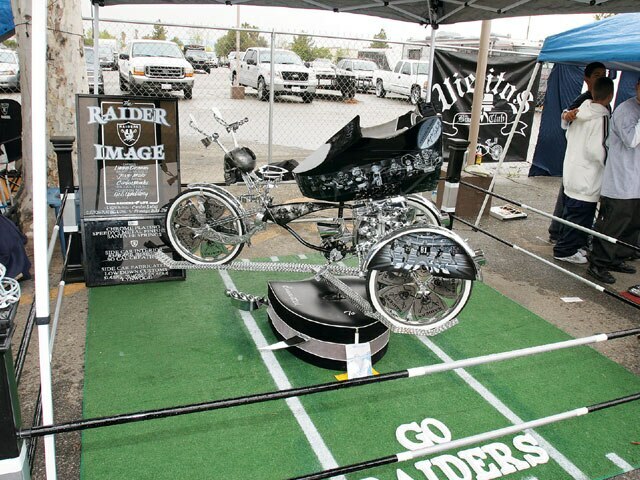 “Raider Image” made plenty of Raider fans happy. Don’t get it twisted, Mr. Capone and his crew kept it moving on stage. 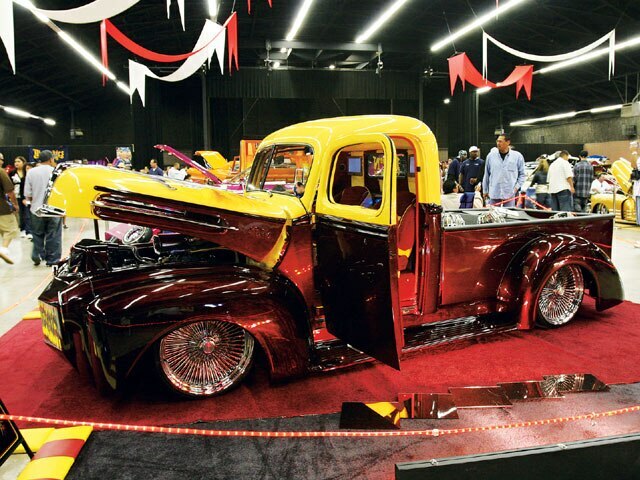 Josesito’s ’51 truck was caught leaning. 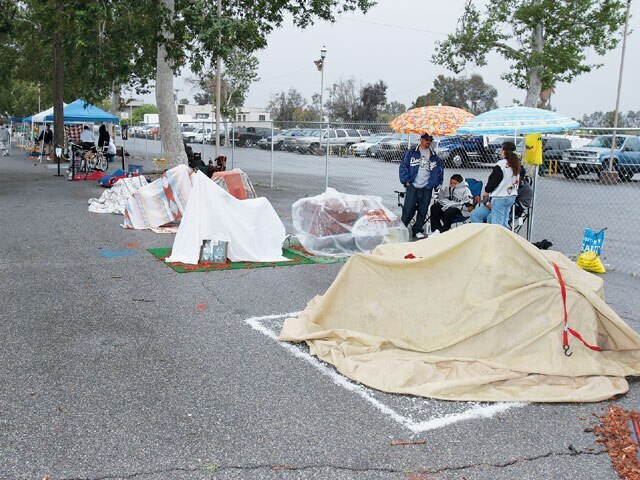 The rain brought out the covers for many vehicles. MC Magic rocks the crowd. Lifestyle C.C. came out in force like usual. Some Royals C.C. members came in from Vegas. 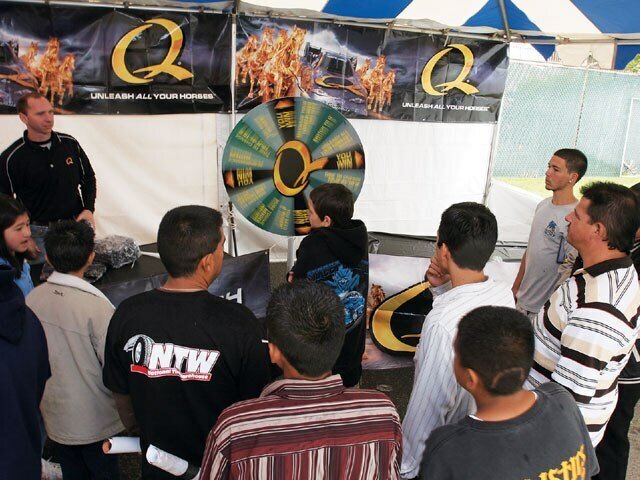 Cheryl Mendoza points out actor Noel G.
Quaker State had ’em spinning for prizes. Duke’s barbershop ’46 truck was scalping the competition. A few hot-looking late ’60s Impalas. CCE Hydraulics was showing everyone the next generation in hydraulic gear. Stylistics C.C. support the event in style.